A recent article discusses how buybacks at Humana earned CEO Bruce Broussard a $1.68 million bonus in 2014. Humana was on target to miss its target EPS of $7.50. However, the company announced a stock buyback of $500 million, which increased EPS to $7.51, triggering the bonus. In all, 255 of the S&P 500 companies have executive performance tied in part to EPS. As we have discussed, in our opinion, EPS is not an appropriate measure of performance as it is easily manipulated. Executive bonuses should be tied to measures that better align with increases in shareholder value. As an example of EPS manipulation, the article reports that, in 2012, then-CEO of Humana Michael McCallister received a $1.63 million bonus because the Board of Directors removed litigation expenses from the EPS calculation. One of the most difficult task for an investor is how to evaluate company management. The CFA Institute recently published an article describing one method to analyze company management. 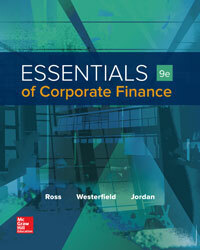 First, concentrate on the numbers on the balance sheet and income statement. Of particular interest are gross margins, operating margins, income tax rates, foreign sales and earnings translations, and balance sheet concerns. Second, the company should have well understood and written processes for its critical functions. Finally, you should look at management. In this area, you should look for unquestioned integrity, innovation of products and processes, how well employees are treated, and good control of people and processes. If a company meets these screens, it indicates a strong management team. A recent survey by Proviti asked CFOs about top priorities for 2016. At the top of the list was margin and earnings performance. Next on the list was cybersecurity risks, strategic planning, periodic forecasting, and budgeting. Executives are also seeking more precision in cash forecasting, an often overlooked area. From a student's point of view, the list of priorities can indicate areas in which they could hopefully make an immediate contribution to their employer. From 2011 to 2014, the number of IPOs on the NYSE has more than doubled, from 128 to 293. However, from a financial reporting view, the IPOs have grown weaker. The percentage of IPOs that reported material weaknesses, or deficiencies, in financial reporting grew from 23 percent in 2011 to 31 percent for 2015 IPOs through September. One reason may be the JOBS Act, which allows smaller companies to raise external capital. Staggering 88 percent of IPOs with less than $500 million in revenue reported material weaknesses.